Take the first step to filling up your pipeline with quality prospects and getting more sales with Sandler Foundations. The Sandler Sales Mastery Foundations program is a complete overview of the proven Sandler Selling System, delivered in weekly 2-hour sessions over a 11-week cycle. The Foundations Program is designed to provide an understanding of basic skills, techniques, and behaviors needed to improve sales performance. Other professions are consistently honing their skills and so should salespeople. This program will help you broaden your selling scope, brush up your skills, and/or set a new foundation from which to start. We will cover one topic per session addressing the ins and outs of concepts that will take you to the next level. In addition to having your trainer by your side, you will also have the opportunity to network and hear from other professionals in the program. These sessions will lay the groundwork to deliver attitudes and techniques that are critical to success in a career in sales through specialized training. The Foundations program gets sales professionals on the right track to implement a clear sales process that results in predictable sales that drive revenue and profits. Learning and understanding the Sandler system of selling puts you, the sales professional, in control. It is unlike any sales training you have ever seen and it is what has made Sandler Training the world's largest and fastest growing selling system in the world. ◦Discover how the Sandler Selling Process exposes the weaknesses of the traditional buyer/seller dance. ◦Learn why 20% of sales people make 80% of the sales. ◦Discover the tricks employed by savvy buyers and how to avoid getting trapped. ◦Stop wasting time sending literature that isn’t read, preparing proposals that can’t win, and doing tons of free consulting. ◦You may look like a ‘slick salesman’ more than you realize. ◦It’s a battle of the plans — the buyer has a plan. Do you? The stronger plan will always prevail. ◦Why so many sales pitches leave your prospects cold — and what to do instead. ◦Learn the importance of having a strong selling system in place. ◦The three factors that dictate your success or failure in a sales role. ◦How to establish equal business stature with the prospect and customer. ◦Learn how your personal presence is undermining your effectiveness. ◦Discover how to maintain your "OK-ness" in front of the tough prospect. ◦How to remove that intimidation factor that's preventing you from getting the job done. ◦Hidden barriers to success in selling, and how to overcome them. ◦Create your cookbook of behaviors to make you successful. ◦Tactics to build rapport — most sales people put 100% of their effort into the 7% factor. Learn about the other 93% and how to build credibility and trust quickly. ◦Exactly what to listen for in the prospect’s initial reactions — and how to respond. ◦A low-key way to seize the initiative and take leadership of the buyer/’seller dance — that your prospect will be comfortable with. ◦Earn your toughest prospect’s respect from the first minute. ◦Learn to successfully recognize the various communication styles and how to adjust yours for maximum impact. ◦Shorten your sales cycle by conditioning your prospects to make decisions at every step. ◦Learn to set the right expectations and remove assumptions that create difficulty in the sales process. ◦Discover how to stop your prospect from entering the "witness relocation program" after saying they will get back to you. ◦Gain control of the selling process from the moment you set the first appointment until you close the deal. ◦Learn a systematic manner with which to uncover your prospect’s true concerns and reasons. ◦How to get them interested, even if they say they aren’t. 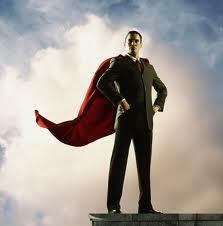 Conquer prospects’ reluctance to talk about their business issues. ◦Get prospects to see your products and/or services as a solution to their business problem. 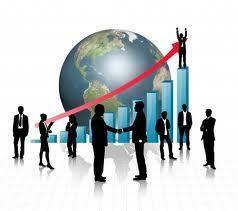 ◦How to conduct a business dialogue with executives and other key stakeholders. ◦Stop relying on your features and benefits to convince prospects that you are the best and obvious choice. ◦Getting your prospect to discover your value proposition instead of you forcing it down their throats. ◦Learn to stay in control of the sales call through strategic and effective questioning. ◦Design a series of questions to keep the call flowing smoothly. ◦Learn to vastly improve your information gathering ability. ◦Break old habits and make new ones that are sure to pay off. ◦Verbal tactics to reverse roles and get your prospect convincing you. ◦Why questions are the answer, and answers are not. ◦Identify prospects true motivations and create momentum in the sales process. ◦How to firm up any agreement you will reach with your prospect. ◦Why sales people leave money on the table. ◦How to find out who really controls the purse strings. ◦How to train your mind to see that price is rarely the real issue. ◦How to turn ‘price’ and ‘cost’ conversations into ‘value’ and ‘ROI’ conversations. ◦Common negotiating ploys used by prospects and how to counter them. ◦How to interview the judge and jury prior to presenting your case / proposal. ◦How to use ‘mini-contracts’ to ensure you stay in control of the process every step of the way. ◦Learn the right way to uncover the true decision process and to get access to decision-makers. ◦How to drive consensus in complex decision scenarios. ◦How to say "NO" and keep the deal alive. ◦How to measure and document customers’ commitment to advance the sales cycle. ◦A fail-safe way to make your forecast accurate and reliable. ◦Presenting the prospect's solution in a manner that keeps you focused on them. ◦How to know when to close. ◦How to close users vs. managers vs. financial decision-makers. ◦Closing tactics when selling to committees. ◦Consistently close, seal, and reinforce sales by presenting to the prospect’s pain, decision-making process, and budget. ◦Do not paint seagulls in your prospect’s picture. ◦Make sure commitments made are kept. ◦How to eliminate buyer’s remorse and prevent the loss of the sale to an incumbent. ◦Use your potency to create a systematic process for referrals - now. ◦Develop the appropriate prospecting paradigm. ◦Determine what your prospecting plan should really look like. ◦Learn how to overcome prospecting reluctance. ◦Develop the best avenues and behaviors needed to keep your pipeline full. ◦Create and hone a 30-second commercial that gains interest and starts conversations. We look forward to hearing from you! Give us a call or send us an email to let us know what roadblocks you may be encountering in sales or management. We can discuss what course and training options would work best for you. Remember, the first step in success is making the call!